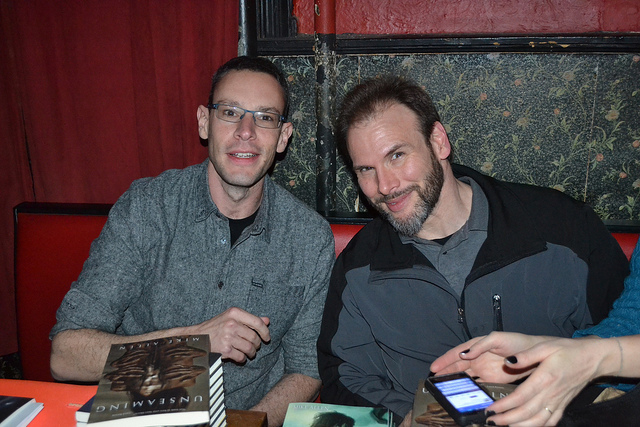 On Wednesday we were joined by authors Ben Loory & Mike Allen. Matt was away on vacation, so Mercurio David Rivera subbed for him. Ellen’s photos of the evening can be found here.